The RO Perelman Department of Dermatology, Department of Biochemistry and Molecular Pharmacology, NYU School of Medicine, NY, USA. Both solid tumors as well as leukemias and lymphomas depend for their proliferation on a small group of progenitor cells, the cancer stem cells. These are tumorigenic and both self-renew and generate more differentiated, non-tumorigenic cells. The cancer stem cells are responsible for metastases, as well as for the post-therapeutic relapses of tumors. Therefore there is a great interest and importance in identifying and, if possible, specifically targeting the cancer stem cells. Recent developments in single cell omics approaches hold great promise in this regard. The special issue on “Cancer Stem Cells” will include Original Articles, Reviews and Commentaries, etc. updating the current state of knowledge and clinical uses of identifying and targeting cancer stem cells. The special issue will also include Research articles presenting novel outstanding data on all aspects of cancer stem cell-targeted therapies. All submissions will undergo rigorous peer review and will be published free of charge upon acceptance. Biomarkers, Differentiation therapy, Metastasis, Omics, Relapse, Single cell studies, Stemness. Abstract: The mechanism of epithelial-mesenchymal transition (EMT) consists of cellular phenotypic transition from epithelial to mesenchymal status. 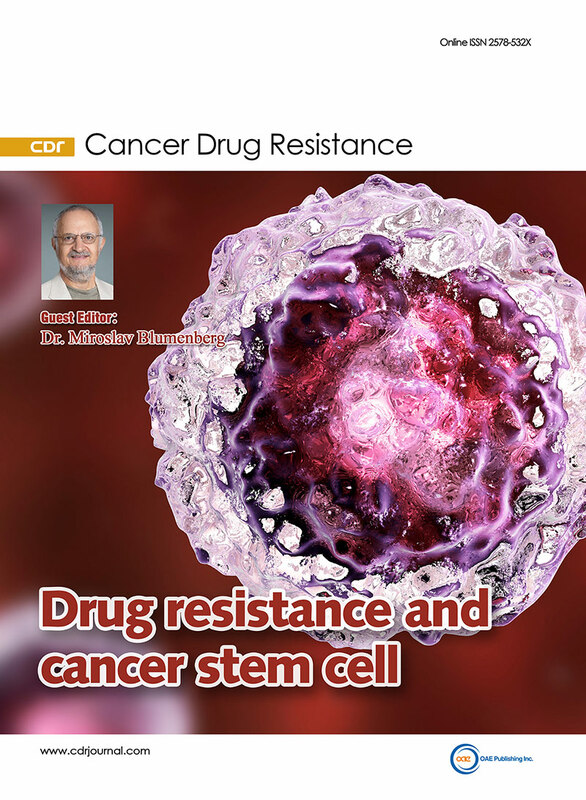 The cells exhibiting EMT exist in cancer stem cell (CSC) population, which is involved in drug resistance. The signaling pathways are dynamically regulated by microRNAs in EMT and CSCs. The recent progress in nano molecules has arisen the possibility to target CSCs with nano-particles. In this review article, we focused on the mechanism of CSCs and EMT, especially into the signaling pathways in EMT, regulation of EMT and CSCs by microRNAs and nano-particles. Authors: Dong-Xu Liu et al. Affiliations: Auckland University of Technology, New Zealand. Abstract: Cancer stem cells are believed to drive tumour initiation, progression and metastasis, and confer resistance to radiation and chemotherapy. Cancer stem cells-targeting has been shown to be a promising strategy for the management and eradication of many types of cancers. There are currently a number of agents that target breast cancer stem cells in preclinical models and in clinical trials. The review will summarise the most recent development of these potential therapeutics and discuss the limitations and challenges.